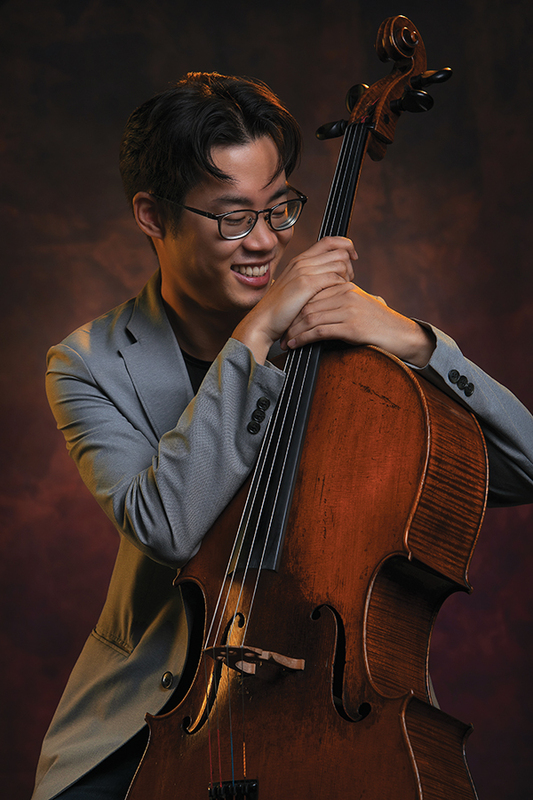 Assistant professor of music Yoshika Masuda – master cellist, director of string studies at Cal Lutheran and the fourth director of the University Symphony – feels the emotional weight of every performance. Do you have physical, emotional reactions when listening to music? Yeah, definitely, I can get quite emotional. What’s a piece of music that does that for you? One of my favorite symphonies is Tchaikovsky’s Sixth. He wrote it almost like a requiem to himself. I think a week after it premiered, he died. Tchaikovsky’s life is actually very sad. Numerous documents and letters express that he was dealing internally with his sexuality. In the 19th century and in Russia of all places, being gay was not something that was discussed or accepted, and he was never happy. In the Sixth Symphony, that is so evident and the opening is so gloomy. The somber quality is evident right from the beginning. He finds these textures that are just – it just makes you think of hopelessness in this world. Even the happy parts in that symphony feel like he’s trying to be happy. He’s writing happy music, it’s in a major key, and yet, you can sense this underlying sadness. I can’t explain how he does it. The third movement ends in a huge finale, as if it’s the end of the piece. Often people start clapping. Then there’s a fourth movement with a completely different texture. He goes back into his shell. So yes, listening to that kind of music stirs me in ways nothing else could. Does playing have a similar effect on you? It can. Probably the most profound experience I’ve ever had, to this day, was playing for someone when I was about 14. My family lived in Australia by then, but we visited Japan quite frequently. We had a family friend with a daughter about 10 years older than me who was hospitalized with a bad case of multiple sclerosis. We decided to go pay her a visit and I brought my cello. She was kept in bed at this point. She’s conscious, but she can’t blink, can’t move, and can’t speak. The piece that I played for her, Kol Nidre, is usually sung at Yom Kippur, which is considered to be one of the holiest days of the year in the Jewish tradition, where one seeks forgiveness from God. A 19th-century German composer made this into a piece for cello and piano. It starts off solemn, but in the middle section it becomes this happier, hopeful music, as if God’s granted forgiveness to you. Anyway, I played this piece for her, which is about 10 minutes long. I finished and everyone else is like, “Oh, thank you so much. Isn’t that nice?” We talked for about three minutes and, out of the corner of my eye, I saw something on her face. Her mother also looked at her. And then we saw a single tear drop from her left eye. That was all. She had no other way to express herself. And here you are, with a very long list of awards to your name. I’ve played for bigger occasions with more people and for important events, right, but nothing’s meant more to me than this particular performance I gave for this one woman. I often like to give a varied program, something that spans 200 or 300 years, just to show the scope of the repertoire we have. But this fall I’ve decided to focus in on the Romantic period. I’ll be playing with a very accomplished pianist, Wojciech Kocyan, who is a former colleague, and we’re actually going to be tackling two gigantic works for cello and piano, one by the Polish composer Chopin and the other by the Russian composer Rachmaninoff. Both are the pinnacle of Romantic playing, but also very different in their own distinct ways, and I want to put them side by side for people to hear those differences. This is for me my favorite period of music, the Romantic period, because that’s when people were most expressive through their music. Composers had things going on in their lives and they really expressed that. Not just in music, but in art and literature as well. For some reason right now, at this moment, I feel very in touch with that. *Masuda’s faculty recital took place Nov. 3 in Samuelson Chapel. He has performed as a soloist and chamber musician throughout Japan, China, Australia, Mexico, Western Europe and the United States. He has won national competitions in Japan, Australia and the U.S.
Editor’s note of Nov. 13, 2017: The article has been updated to reflect the print version published after the faculty recital.